Square Invoices is an invoice generation platform for businesses of all sizes. It allows users to send and track invoices for free and only apply charges after the users receive their customer’s payment. We compiled Square Invoices reviews from our website and from around the web and determined that it has generally positive ratings. We also shared its available pricing options. Ready to learn more? 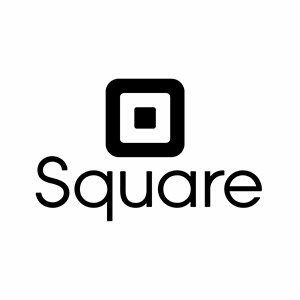 Visit Square Invoices. Users who gave Square Invoices a positive review said that the program is easy to learn and navigate. They like that they can send unlimited invoices for free. Users also find the app’s capability to process credit cards helpful. There were only a few negative reviews online, and users who gave Square Invoices a negative review wished for better automation and invoice customization options for different types of orders. “I’ve been using Square invoices since they launched. I run a product-based business and using the invoice feature at wholesale trade shows has been amazing! I use the program on my iPad so I can quickly scroll through products with a buyer and select the items for their order. Since a lot of wholesale orders are not paid upfront, I can send the invoice in an email to be paid at a later date. I can easily edit the orders after the show and send reminders as the due date approaches. On the buyer’s end, the process is really simple. They receive an email with the itemized order and your customized note. With a click on the “Pay” button, they can quickly enter their payment information and submit–no need to sign in or create an account. Square Invoices allows small businesses to send invoices for free. When a customer pays the invoice via debit or credit card, there’s a fee of 2.9% + 30¢ per transaction. Small businesses can also take advantage of recurring payments, which happen when clients give the businesses permission to keep their card details on file. This is so businesses can charge clients instantly without the need for authorization for recurring and repeat payments. Recurring payments have a transaction charge of 3.5% + 15¢. Check out the list below of some of Square Invoices’ features. Best Invoice Software for Small Businesses — We looked at the most popular options and rising stars and decided to review Invoicera, Viewpost, and FreshBooks. Read this guide for our comparison and review of these three options, as well as our top recommendations. Small Business Invoicing: How to Write One and Deal with Unpaid Invoices — In this guide, we’ll teach you how to write an invoice and uncover all the best practices for invoicing, including how to use an invoicing software to handle most of your work automatically. What Are the Best Invoice Payment Terms for Your Small Business — Choosing the wrong invoice terms can disrupt your cash flow and alienate customers. In this article, we’ll show you how to do invoicing properly. Does Square Invoices offer custom pricing packages? Yes. The company can create custom pricing packages for businesses that process more than $250,000 in card sales and have an average ticket size over $15. Does Square Invoices offer chargeback protection? Yes. They cover credit card chargebacks that are $250 or less. This video provides an overview on how to set up recurring payments and scheduled invoices using Square Invoices. Not sure if Square Invoices is the right fit for you? Read our reviews of all top invoicing software or check out one of these three Square Invoices alternatives. I love the ability to schedule invoices for our catering clients, saving our team a lot of time every month. I like too that I can track everything in one spot and that I’m notified when a client has paid. I dislike that I cannot input a delivery address because I use Square Invoices for our catering delivery business. Therefore, I have to put the delivery address and time in the notes section of the invoice. Storing our catering invoices all in one place. The benefits include time saving, tracking, mobile generated, professional looking and competitive credit card processing rate. I use Square Invoices to send out individual invoices to each of our clients, every month. Before this software, I was manually making PDF invoices and had no way to easily and quickly accept payment online from my clients. Now, my time spent on invoicing each month is drastically reduced, and I get payments easier and faster. I wish there was a way to automatically calculate credit card processing fees based on an invoice’s amount, and add that to the invoice. I have not had a single issue using Square Invoices to date (after four-plus years of use). It might not be great if you need to have highly detailed or itemized invoices. Ease of use, easily transferrable between different users, and great on the go! 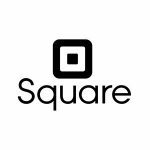 Haven’t dealt much with their customer service and it can be difficult to find a square reader for purchase in retail stores. I ordered on through their website as the free add on and never received it! Then had to go on a last minute hunt for one in a retail store for purchase which was a headache. The difficulty to find a reader in person. I’ve been using Square invoices since they launched. I run a product-based business and using the invoice feature at wholesale trade shows has been amazing! I use the program on my iPad so I can quickly scroll through products with a buyer and select the items for their order. Since a lot of wholesale orders are not paid upfront, I can send the invoice in an email to be paid at a later date. I can easily edit the orders after the show and send reminders as the due date approaches. One new feature that I love is saving a credit card on file. Again, this is huge at trade shows where I want to create the invoice and save a card with it to charge when I ship at a later date. It helps me know that I will get paid and it makes things super easy for them. I loved that the processing rate for invoices was the same as running a credit card in person, but unfortunately the rate increased in the fall 2016. Because of that change, I direct customers to place orders through my online store instead, but I still can’t beat the ease of use in the busy trade show setting, so I will continue to use invoices for that. The credit card on file feature also incurs a higher fee, so I don’t love that, but it saves me and my customers time and headache trying to track down payments. Some of the notifications were an issue for me at first. For example, I would try to cancel or update an order and it would automatically send a notification to the recipient. Square has since updated this, so you can choose whether or not to send a notification, which is great! Sometimes it’s hard to tell what a customer sees when you send something out, whether a receipt from point of sale or an invoice. I can always send tests to myself, but I wish there was an easier way to see the end result. I also would love to be able to create different return policies for different types of customers (invoice vs. point of sale) since my wholesale sales are different from retail sales. The one thing I would add to what was said above is that Square charges the same rate for invoices sent internationally. I live in Canada and if I send an invoice to the US or Europe (which I do often), it is the same transaction fee. With Pay Pal I would have to pay a much higher fee for international invoices. What’s the Best Invoicing Software?